With three wineries visited and sixteen wines tasted, we continued on with our wine tour. 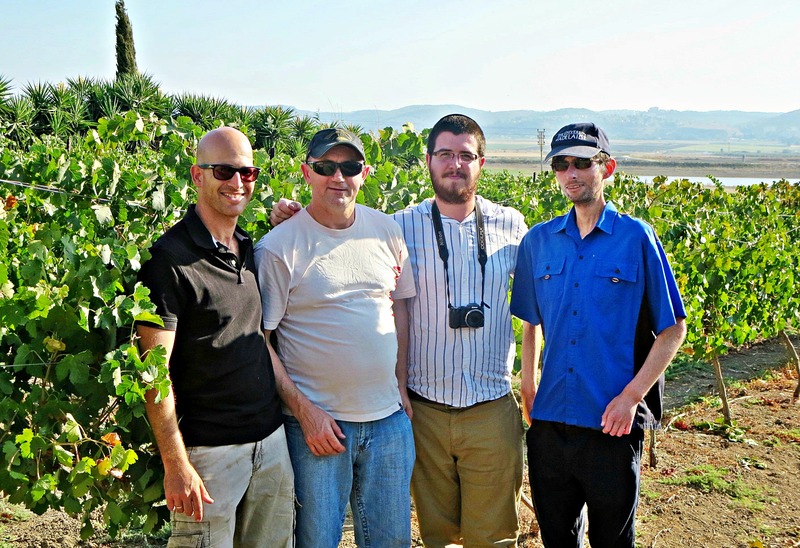 The four of us – Joel, Les, myself and our tour guide Yakov – popped on over to Sadot Winery, nestled in Sde Ya’akov just across the road from the fascinating Bet She’arim National Park. The newest winery on our tour, this estate winery is only in its second vintage. Meeting up with Ro’i, the winery owner, we started with a look at his vineyards, sampling from two grape varieties. Even though the grapes are hanging lush on the vine, Ro’i is waiting for the perfect sugar levels before he harvests. What defines his winery as an estate winery is the fact that all his wines are made with grapes grown on the estate, definitely giving us the full behind-the-scenes. After snacking on some grapes we headed down to his workshop and his rooms. Using a clever, yet simple, concrete structure, the winery’s various stations and the new deck is all in one spot, overlooking the vineyards, a water reservoir and the distant Mount Carmel. Ro’i showed us his latest batches, one just starting the fermentation process, kept in large temperature-controlled metal casks. Using little stepladders, Les and I poked our heads into the casks to examine the crushed grapes. Moving on to the next station, Ro’i showed us the barrel room where his vintages are aging and his freshly picked grapes were waiting. And then, to the storage room where the finished bottles are waiting. With that, we headed up to the deck and made ourselves comfortable. 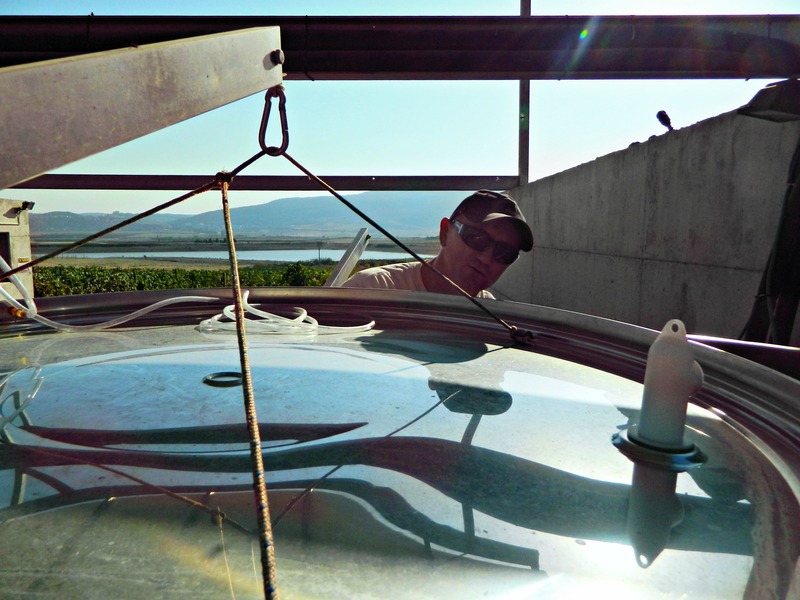 Ro’i brought up his four wines and several bottles of cold water – the first winery to offer such a luxury. We started with the Muscat Canelli and then, after some cold water and some discussion, tried the Rosé. After more water and more discussion, Ro’i poured us some Shiraz Tempranillo. And then, finally, the Syrah. After trying the superb Syrah Reserve at Tulip Winery, I saw the potential in this younger vintage. 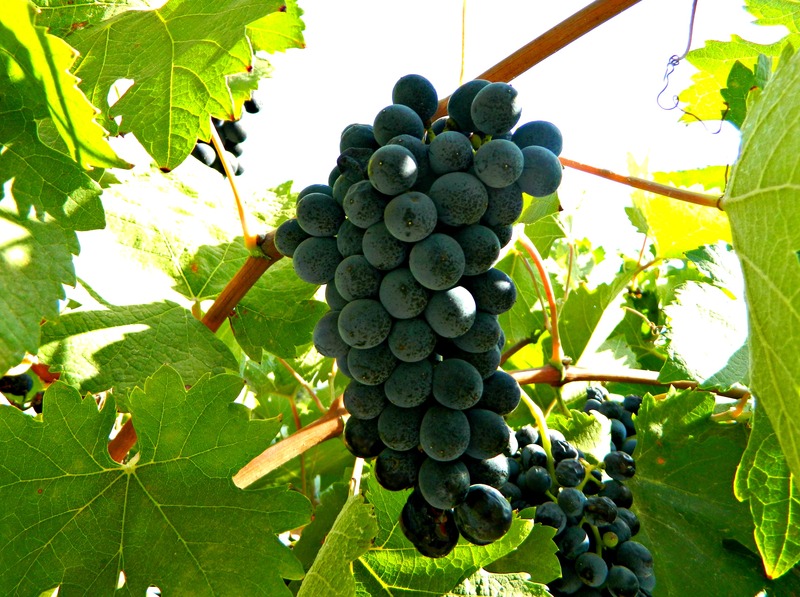 There was that same focused feel on the middle of the tongue, just a little larger – the general consensus was that the Sadot Winery Syrah just needed a little more alone time to fully mature and pack that wonderful punch. All I know is that if I were to ever make a wine that good, I’d be singing my own praises. Finishing up our twentieth wine of the day, we thanked Ro’i, got back into the car and had a pleasant drive back to the hotel in Tel Aviv. As we drove we discussed the wineries and the wines. 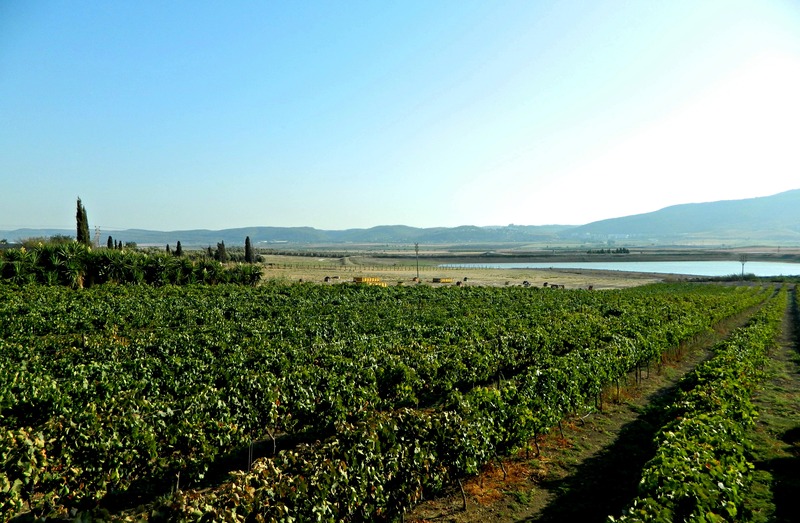 Each winery stood out on their own in some way or another, and their wines were a testament of hard work and fortune here in Israel’s magnificent wine country. 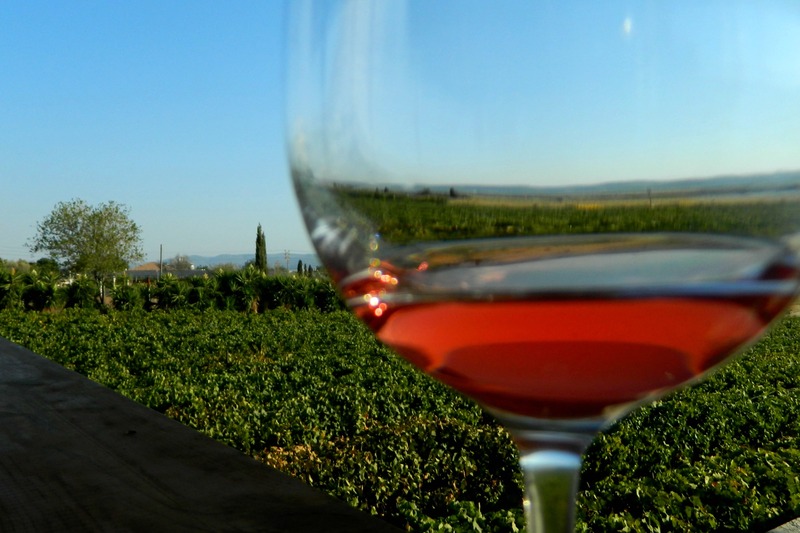 This wine tour has really inspired me in the field of wines and I look forward to visit more and more wineries.